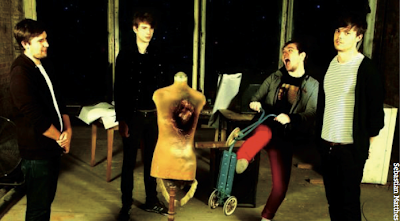 The multi-regional pop-bastardisers chat to Jon Bauckham of the great expectations placed upon them ahead of their debut. With so much expected of them this year, Everything Everything have modest ambitions. “This year will hopefully bring an album to our ears that we are really, really proud of. That’s honestly it.” If that’s all they hope to achieve, that alone is a blessing. No Response to "Everything Everything in their right place"
This is the music section of Bristol University's student newspaper, Epigram. Epigram Music Design by topwpthemes. Converted To Blogger Template By Anshul And Ritesh .